At Tyonek, their people are their greatest asset. They are proud to say that, based on excellent performance by their talented employees and management team, over the past 30 years we have grown into a strong corporation. It is no secret that a successful company is built by great employees and at their operations across the country, they do their best to attract and retain each and every one. 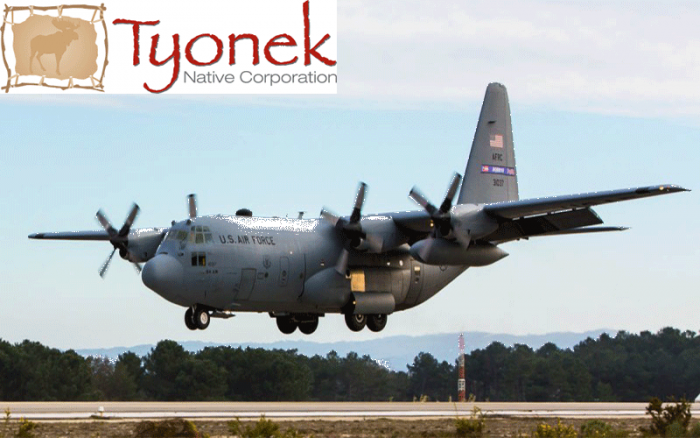 Tyonek is an Alaska Native Corporation and parent company to a growing number of subsidiary businesses that provide defense engineering and manufacturing, aircraft maintenance, information technology services, construction services, and general support services to a broad customer base. They have employees in Alaska and across the US. Working for Tyonek also helps build a future for the community of Athabascan shareholders of Tyonek. Their businesses contribute to the lives of nearly 800 shareholders by helping to create opportunities that enable their people to build lives that mix traditional and western cultures in their ever-changing world. From entry to senior level positions, Tyonek Native Corporation (Tyonek) offers outstanding employment opportunities for anyone looking to stretch their experience and build a solid career. Tyonek employees enjoy an excellent benefit package, competitive pay, and their ongoing commitment to support their employees. Tyonek is committed to complying with all Federal, State and local laws providing Equal Employment Opportunities, as well as all laws related to terms and conditions of employment. Click Here To View And To Apply To All Of Tyonek's Available Positions!